Join us for Any Lab Test Now Ribbon Cutting! 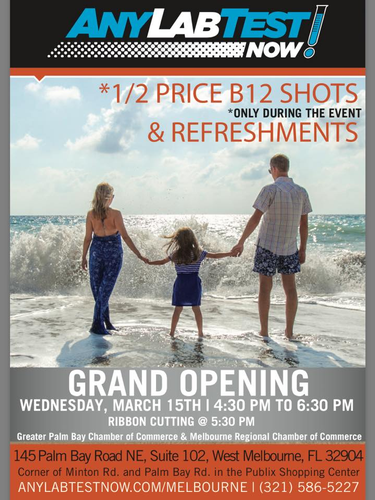 During the event you will have 1/2 price for B12 Shots. Refreshments served.